The 2019 Elementary Principals Convention will take place from October 9-11, 2019 at the Kalahari Resort in the Wisconsin Dells. 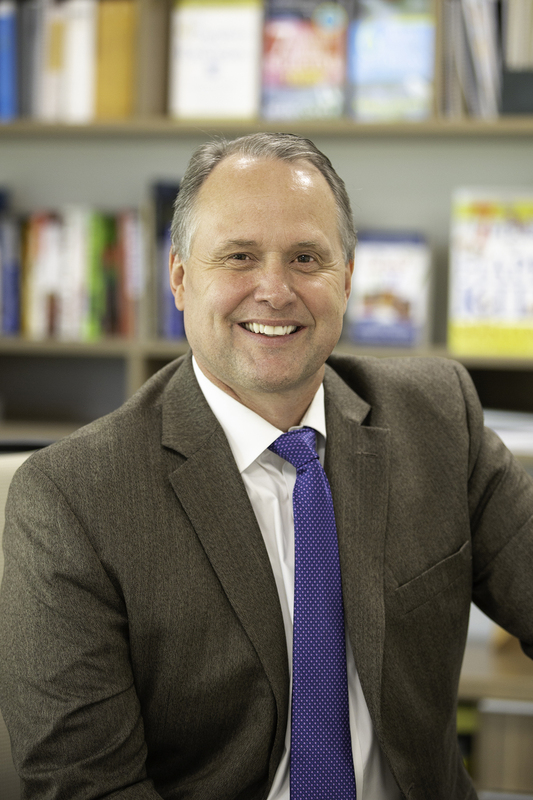 Michele Borba, Sean Covey, and Pam Allyn will present our keynote sessions and the convention will feature over seventeen sessions focused on Elementary Leadership. A block of rooms has been reserved at the Kalahari Resort for convention attendees. When making reservations please ask for the “AWSA 2019 Elementary Principals Convention” block. There are a limited number of blocked rooms and they may sell out before that date so we recommend that you make your reservations soon. Full refund of fees will be made on cancellations received 10 days prior to the start of the convention. Following that date, a 40% administrative fee will be retained. There will be no refund for no-shows or cancellations during the event. *For questions about accessibility or to request special assistance during the event, please contact Kathy Gilbertson at [email protected]. Three weeks advance notice is required to allow us to provide seamless access. If you need to cancel the special request this must be done at least 3 working days prior to the start of the event. Elementary principals who attend this session will spend the afternoon with three school law attorneys on everyday issues they face in the school. Malina, Jina and Melissa will provide an interactive session focused on the latest developments relevant to elementary principals including: custody issues, technology issues relating to use of private devices at work, and using programs like Go Guardian and Securely, what is and is not bullying; employee handbooks, an update on transgender student issues; and the essentials of conducting investigations. Bring your questions! This balanced model promises to have far greater impact on teaching and learning and provide sound data for summative evaluations. Just as student mental health exists on a continuum, so do the supports schools can provide to promote student mental health. The Wisconsin School Mental Health Framework offers guidance to schools on how to build and strengthen a comprehensive school mental health system. Participants will explore the foundations of the framework, including mental health literacy, dig into the system components, and work through their own school mental health needs assessment and planning tool, with a focus on the unique role that school leaders play in advancing school mental health efforts. Comprehensive Literacy is a researched-based system that enables educators to successfully address the needs of students at all levels, delivering improved student outcomes and creating a culture of literacy and joyful readers and learners. Join Scholastic’s CAO, Michael Haggen, in an overview and discussion of Scholastic’s approach, building on balanced literacy, supported by professional learning and integrating learning supports and family and community engagement. This session, both conceptual and practical, will provide best practice on classroom rotation blocks, professional development and how you can implement in your district. This session will provide information on the three legs of a solid retirement: the Wisconsin Retirement System, Social Security and personal savings (e.g. Roth, 403(b) plans, etc.). The session will also cover what educators should know about putting savings to good use and public service loan forgiveness. Come with your questions and leave better prepared for your future. If you are a new elementary principal please come to this informal breakfast to meet AWSA executive staff and other new and experienced leaders. Empathy is often sidelined as a “soft skill.” Dr. Borba offers hard evidence that it must become an educational and societal priority. In this game-changing presentation, you’ll learn why creating empathetic, inclusive climates as the foundation for learning is the smartest strategy for ending the cycle of youth violence. You’ll also learn why empathy is one of the most important skills that 21st century learners will need to thrive in a complex, global, digitally-driven world. Dr. Borba shares how educators around the globe weave empathy-building practices into existing lessons and help students to develop empathic mindsets in a test-driven culture (that doesn’t always value it.) This inspiring session will be informative and filled with practical ways to create positive outcomes by cultivating empathy in your classroom and school. Best yet, every idea can be woven into your existing content. 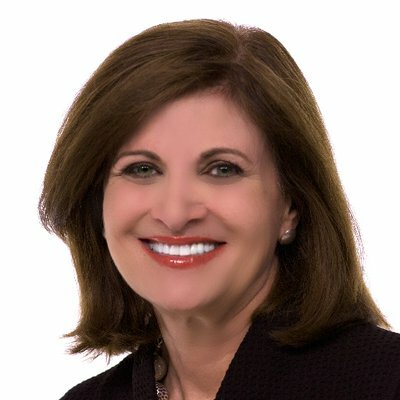 Dr. Michele Borba is an internationally recognized expert and author on children, teens, parenting, bullying and moral development. Her work aims to help strengthen children’s character and resilience, build strong families, create compassionate and just school cultures, and reduce peer cruelty. Her practical, research-based advice is culled from a career of working with over one million parents and educators worldwide. Media outlets regularly depend on Dr. Borba as the “go-to” expert on parenting, bullying prevention, education and child/teen issues. She is an NBC contributor appearing over 100 times on the TODAY show and is the regular parenting expert on Dr. Drew’s Lifechangers where she comments on late-breaking news and offers realistic solutions. Her work has been featured on Dr. Phil, Dateline, The View, The Doctors, Fox News, The Early Show and CNN and well as in Newsweek, People, Good Housekeeping, Chicago Tribune, U.S. News & World Report, Washington Post, The New York Times and The Globe and Mail. She was an MSNBC contributor to two televised “Education Nation” specials. Dr. Borba is the award-winning author of 22 parenting and educational books translated into 14 languages. Titles include: Don’t Give Me That Attitude!, Parents Do Make A Difference, The Big Book of Parenting Solutions: 101 Answers to Your Everyday Challenges and Wildest Worries, and Nobody Likes Me, Everybody Hates Me!, No More Misbehavin’, Building Moral Intelligence (cited by Publishers’ Weekly as “Among the most noteworthy of 2001”), and Esteem Builders used by 1.5 million students worldwide. She writes as the parenting expert for Dr. Oz’s website, powered by Sharecare as well a daily column for her blog, Dr. Borba’s Reality Check. Pre-sale Book: Unselfie by Michele Borba is available for purchase during the registration process. As educators we teach the whole child, this means equal emphasis on teaching and providing levels of support for both social emotional and academic learning. To move forward as a cohesive system staff within a school it is helpful to focus on staff will and skill around social emotional learning, particularly when it comes to how we view, interpret and respond to misbehavior. This session will focus on lessons learned and considerations for moving forward based on my school’s journey towards Restorative Practices. If you have a reading specialist, a math coach, or any version of an instructional coach in your school, your relationship matters. Monitoring the impact of coaching on a school culture, student performance and staff engagement is an important role of a school leader. This session will explore some strategies and protocols for working with building coaches to ensure excellence for all. Educator Effectiveness is designed to significantly grow teacher practice and student learning. However, its implementation in many places often renders little growth for all the work. This session will clarify local flexibility that evaluators have within this statewide system to garner much more impact. We also will examine several examples of legitimate EE shifts that Wisconsin schools/systems have taken in line with this flexibility, which may be a match for your school/system, too. School culture is a deciding factor in student achievement. Learn how one school uses continuous improvement to improve student learning while also keeping an eye on student culture. Students have ownership over their own learning while staff use visible data to make refinements to their practice. Coaching becomes strategic all while retaining a strong culture with various checkpoints and conscious celebrations and recognition. Hold onto your hats-this fast-paced session will give you a quick overview of five learner centered organizations in 10 minutes each. Followed by these quick presentations, there will be time to follow up with one or two of them that peaked your interest in a 25-minute deeper dive session. Organizations from around Wisconsin will come together to share a brief overview of the key highlights in their journey toward fully realized school/district learner centered practices. Each organization will give a profile overview, including their success measures. They will follow this up with their high leverage practices and leave participants with examples and evidence of their progress toward learner centered education. The Brompton School has been recognized for closing opportunity gaps (the school received a perfect Closing the Gap score in reading and math in 2017-18). This session will address how the Brompton school uses student data to personalize learning, implement a response to intervention system and close opportunity gaps for students. Cultivating teams who recognize their complementary skills and experiences will always exceed the goals of individual efforts. Teams are more effective in problem solving and drive internal accountability, but schools need to believe they ARE a PLC, not we DO PLC’s as if it’s a task to complete. Leading a school to embrace and operate as a professional learning community is an important element of leadership. This session will share some practical strategies for moving the needle using collaborative teams. John Hattie cites collective efficacy as the variable with the highest effect size on student achievement. This makes sense because, in such a case, we have a whole faculty feeling effective -- able to actually accomplish better student achievement and equitable conditions for all. But collective efficacy does not happen on its own. It is the product of a certain sort of school culture that is cultivated over time through specific leadership qualities. This session will break down what our field is learning about impactful leadership and culture in simple and accessible terms so that participants are equipped with specific approaches they can implement back home to lead their organizations to the next level. Learn from an exemplary elementary school on how they have used culture to propel forward their learner centered practices. Take home practical ideas to implement tomorrow in your school buildings and districts. Often, we put staff together and don’t offer the support necessary to help them shift from being a group to performing as a team. Teams need clarity of process and purpose around the four key questions of PLC as well as focused work at each stage of team development to do this work well. This session will focus on lessons learned and considerations for moving forward based on my school’s journey. This session will focus on the conditions and practices for effectively coaching a team and further define the principal’s role as a coach in helping teams’ function at high levels. Participants will engage in a consultancy protocol to experience how a team can develop collaborative problem-solving skills. A common root cause problem in improvement efforts is that leaders have not yet articulated what good, better, or best practice looks like in one or more areas of instructional priority for their school/system. And our work with dozens of Wisconsin school/district teams to date indicate that, until teams address this root cause problem, their improvement efforts are essentially “stuck.” Adult Learning Frameworks are a solution to this common dilemma in ways that deepen learning, focus support, cultivate collaborative culture, and instill internal accountability. This session will help you understand the components and benefits of Adult Learning Frameworks, how to build them, and how to effectively roll them out to accelerate your school’s improvement journey. How are we filling and re-filling our tanks and those of our colleagues and employees? Explore the concepts of compassion fatigue and resilience through activities that can be brought back to use with staff in your school who work with youth and families who face complex challenges. The CR Toolkit offers information, activities, and resources for adults in schools to understand, recognize, and minimize the experience of compassion fatigue and to increase compassion resilience perspectives and skills. The authors of the CR Toolkit are a collaborative team made up of educators (including classroom teachers, student services personnel, and administrative leadership), community mental health practitioners and parents. The world is changing at an unprecedented pace. Every day, principals are faced with incredible challenges, including government mandates, ever changing priorities, teacher engagement, difficult parents, and student behavior issues, to name a few. Even in the most turbulent times, there are four roles leaders play that are highly predictive of success. We call them essential, because as leaders consciously lead themselves and their teams in alignment with these roles, they lay the foundation for effective leadership. Inspire Trust: Be the credible leader others choose to follow- one with both character and competence. The Essential Roles develop leaders who can master these skills consistently, within Franklin Covey’s unique framework that focuses on developing who a leader is as well as what a leader does. School administrators support the boundless needs of those they lead and serve. But who supports them -- especially in ways tending to the heart and spirit? Join AWSA’s Associate Executive Director, Joe Schroeder, and administrative colleagues from across the state in this Christian fellowship breakfast option that, now in its third year, is proving for many to be an annual highlight of encouragement and assistance for the next leg of the leadership and life journey. Powering success and opportunity for every student with a 365 day approach to a literacy building strategy including summer learning, extended day and family engagement. Whether it be about student performance, instructional practice or adult behavior, are you effectively delivering a message, helping others to reflect, or inspiring productivity through your conversations? This pre-conference session will allow participants to learn and practice a few skills for productive, impactful conversations with those we serve to include teachers, parents, colleagues, etc. Learn the basics to having a productive crucial conversation and consider how varying personalities and roles may require different levels of coaching and support. The responsibilities of a school leader are daunting, as a variety of folks seek out our limited time, energy, and resources to meet their virtually unlimited needs and desires. Day after day, week after week, they keep coming and coming and coming. No wonder that 89% of school administrators report feeling very stressed at least once a week and that high leadership churn prevails. Self-care and work-life balance are crucial to address such situations, but paradoxically, can be some of the very first things squeezed out of a busy leader’s life! Rather than becoming just another cautionary statistic, consider joining us in this session conversation about ways to feed those parts of our personal lives that make us BOTH whole and vital human beings AND more effective and efficient leaders at work, too. Pam Allyn will share how literacy is a power unto itself that confers upon children the opportunity to achieve in every subject area. She will show ways administrators can implement best practices and approaches for teachers, students and families that will ignite a reading life for every student. 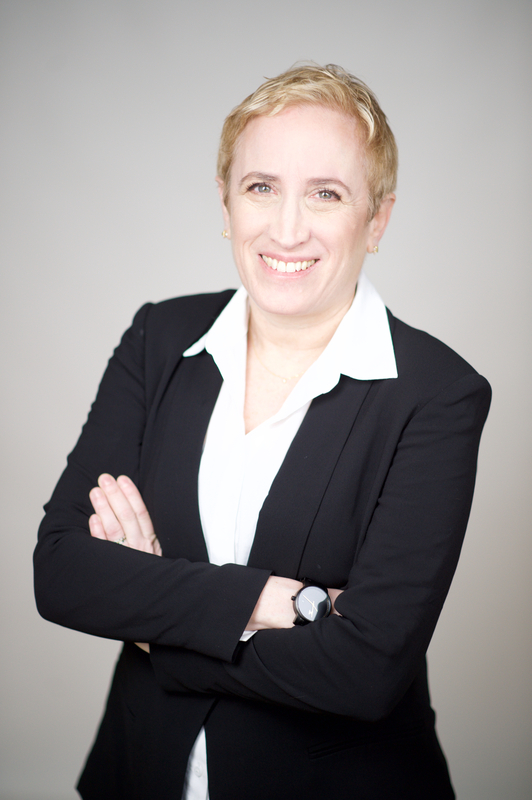 Pam Allyn is a leading literacy expert, author, and motivational speaker. She serves as the Senior Vice President of Innovation and Development for Scholastic Education. Pam also founded LitWorld, the groundbreaking global literacy movement serving children across the United States and in more than 60 countries, pioneering game-changing initiatives including LitCamp and World Read Aloud Day. Pam is the author of 26 books for educators, leaders and families on reading, writing, and quality learning. Her most recent book is Every Child a Super Reader, co-authored with Dr. Ernest Morrell. Other books include Your Child’s Writing Life, What To Read When and Pam Allyn’s Best Books for Boys.